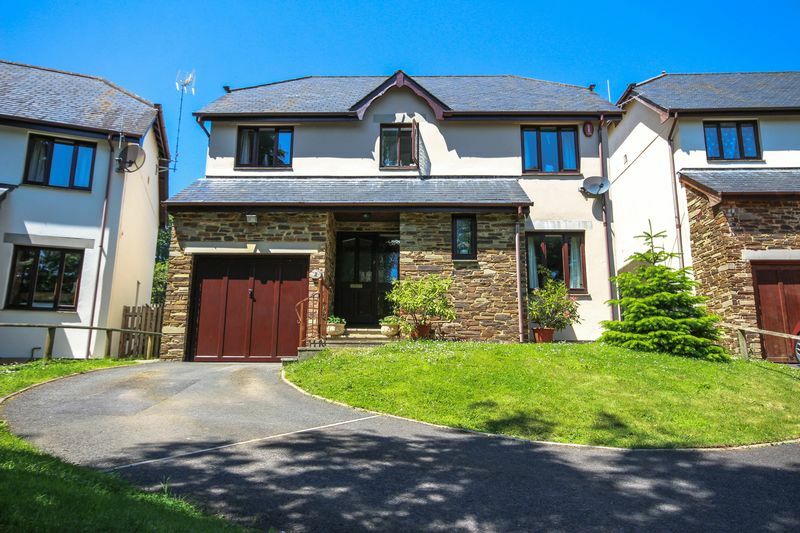 This delightful detached, modern, family home with garage and parking is situated in a quiet non-estate location in Buckfastleigh, overlooking trees and playing fields. This house is well laid out, flowing nicely from room to room, in a small development of mainly individually designed homes, built by Peter Johnson Homes of Dartmouth. 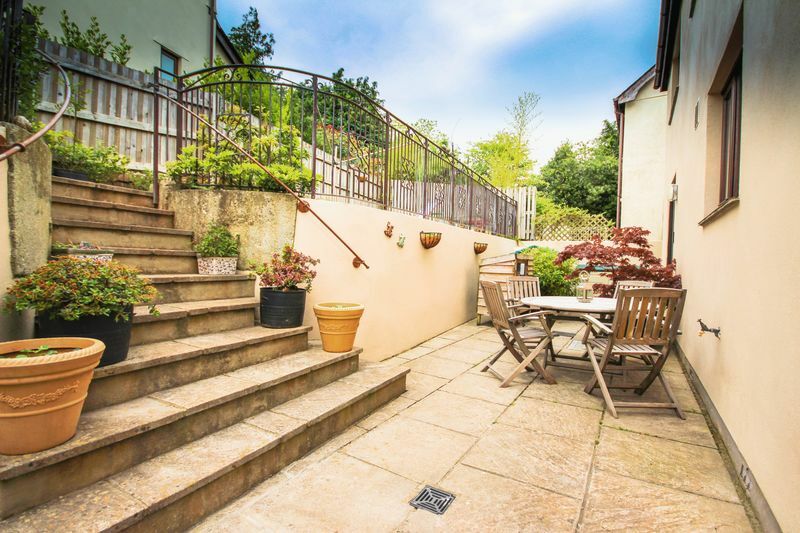 Within walking distance to the local shops of Buckfastleigh and in close proximity to schools, this 4 bedroom property with master en-suite and enclosed rear garden makes the perfect family home. The area enjoys some charming walks being located within Dartmoor national park and at the bottom of the road there is even a ducks pond. Buckfastleigh is a beautiful small market town. Set in Dartmoor National Park, best known for it's striking granite tors, steep wooded river valleys and heather covered moorland. The town offers a wide selection of recreational opportunities such as walking, cycling, kayaking, riding and fishing on the River Dart. Many of the region's finest beaches are within easy driving distance. There is a lot around for families including Buckfast Abbey, South Devon Railway Trust, Butterfly and Otter Sanctuary, Open Air Swimming Pool, Pennywell Farm & Wildlife Centre and Dart Rock Climbing Centre to name a few! 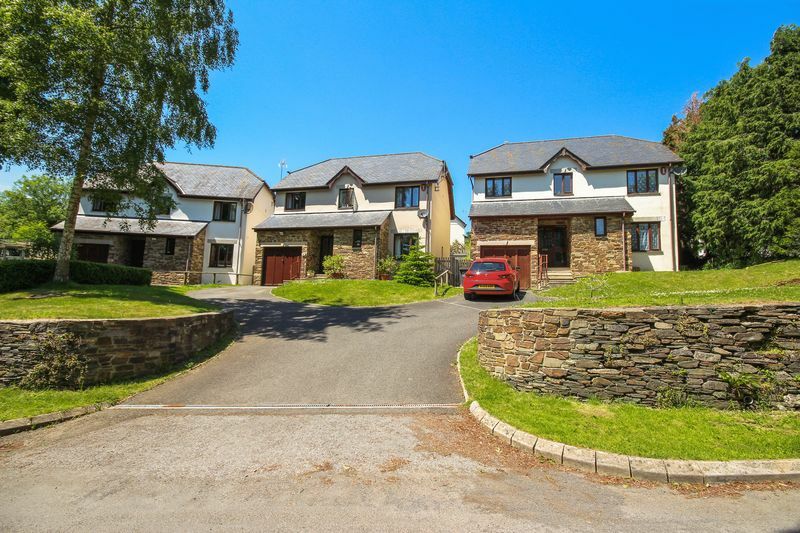 As well as Buckfastleigh primary school, Landscove primary school and many more are within a short drive. 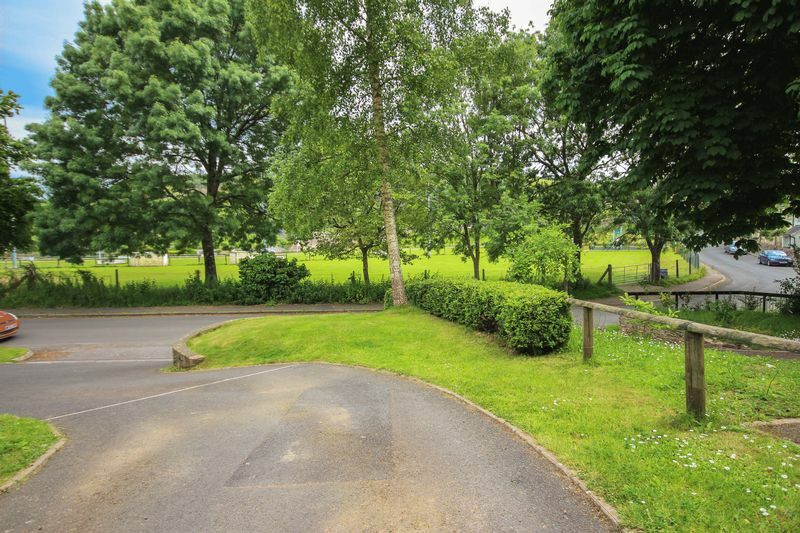 Buckfastleigh is also set within the catchment area for the popular South Dartmoor Community College. 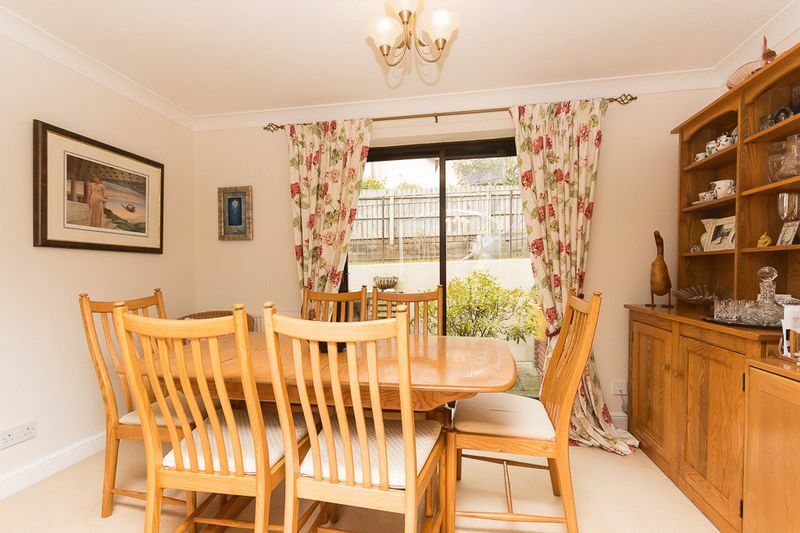 There are shops and delis close by, along with the popular moorland town of Ashburton. The market town of Totnes has a mainline railway station with direct links to London Paddington, and the A38/Devon Expressway links Exeter and Plymouth with the M5 motorway network. A covered storm porch makes a great welcoming spot and a great place to leave the muddy boots! The front door enters into the entrance hall fitted with an alarm control box. 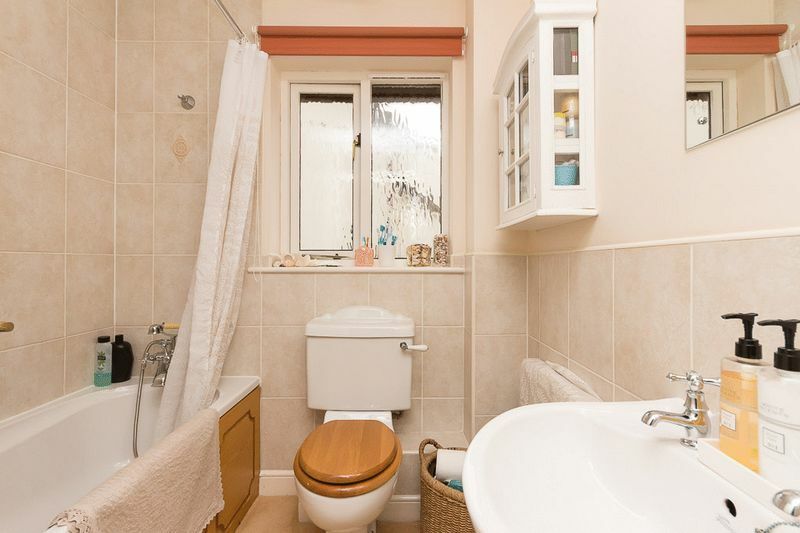 There is a downstairs WC and a useful under stairs storage cupboard. 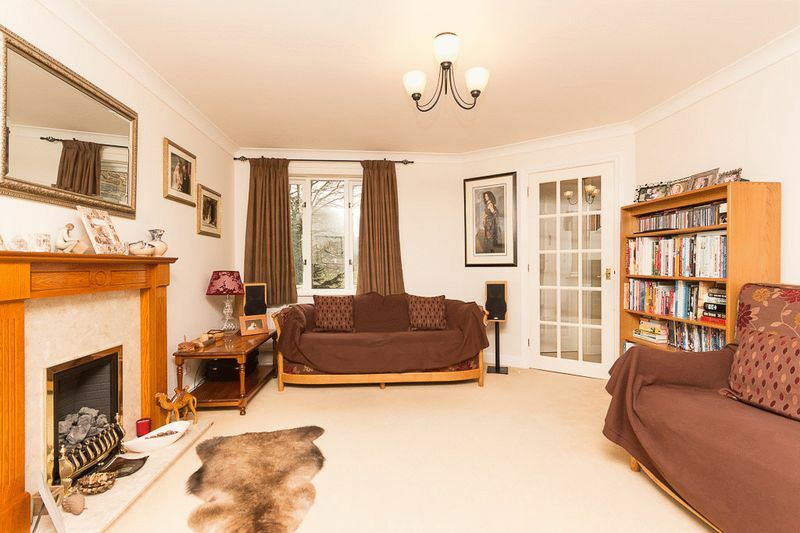 The bright, family sized sitting room boasts views to the front of the property through the double glazed window allowing views of the garden, neighbouring trees and the playing fields. A wonderful feature to the room is the coal effect gas fire with wooden mantelpiece and marble effect surround. There is an additional window to the side aspect. An archway from the sitting room leads through to the dining room with space for a large dining table and chairs, perfect for family meal times enjoying a pleasant outlook onto the rear garden through the sliding patio door also allowing a wealth of natural light into the room. 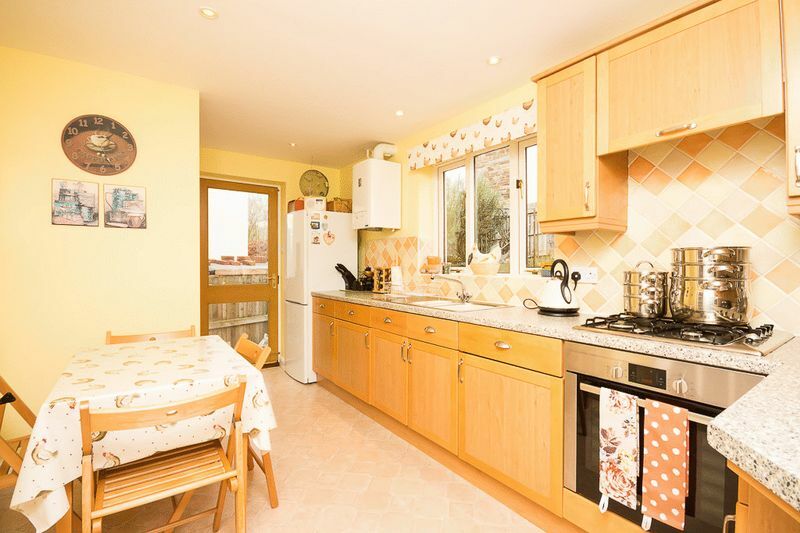 Accessible from both the entrance hallway and the dining room is the kitchen/breakfast room with utility area. The kitchen has been well fitted with a good range of wall and base units with rolled edge worktops over and tiled splash back surround, built-in electric oven, four ring gas hob with concealed extractor over, one and a quarter bowl stainless steel sink, with a double glazed window to the rear aspect overlooking the rear garden. 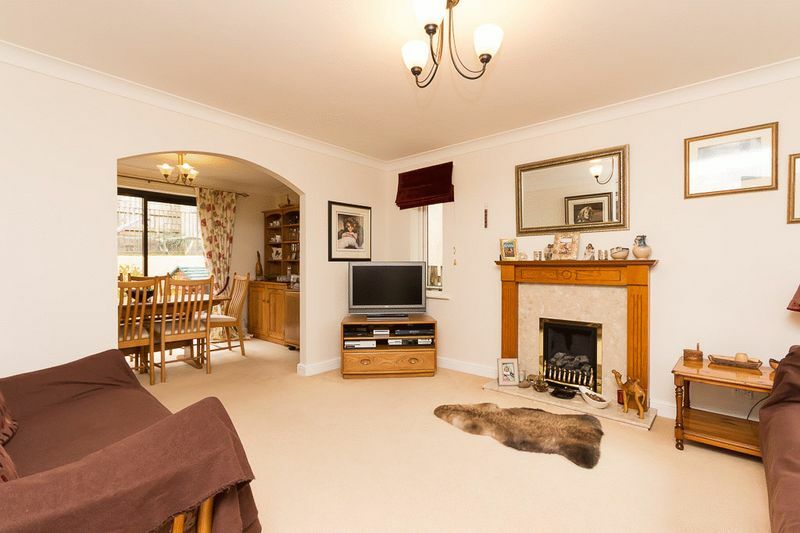 The spotlights in the ceiling are a tasteful addition as is the television point to keep you entertained whilst cooking. 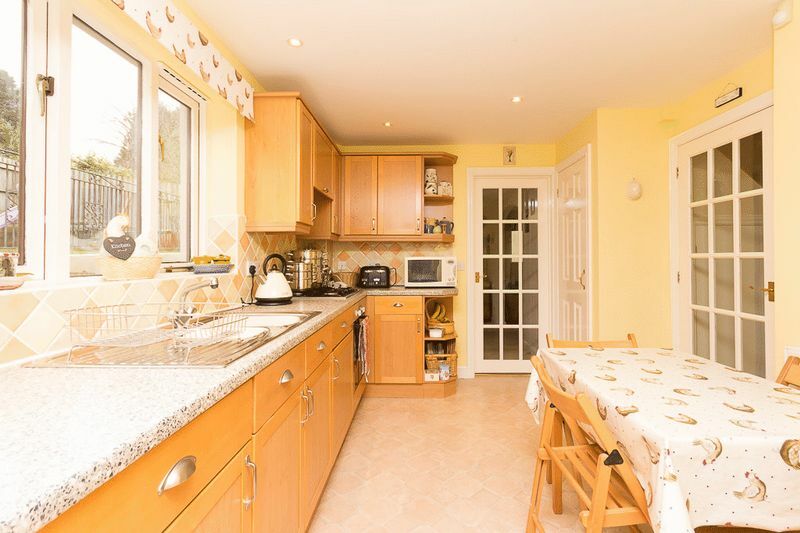 There is also space for a breakfast table or a kitchen island. A double glazed door provides access to the rear garden. Separated from the kitchen by a protruding wall is the utility area. 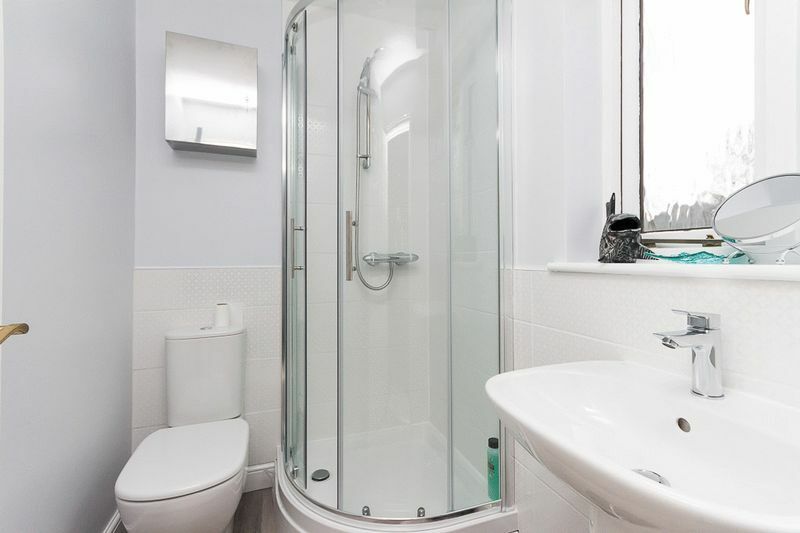 Complete with wall and base units, a stainless steel sink and plumbing for a washing machine. 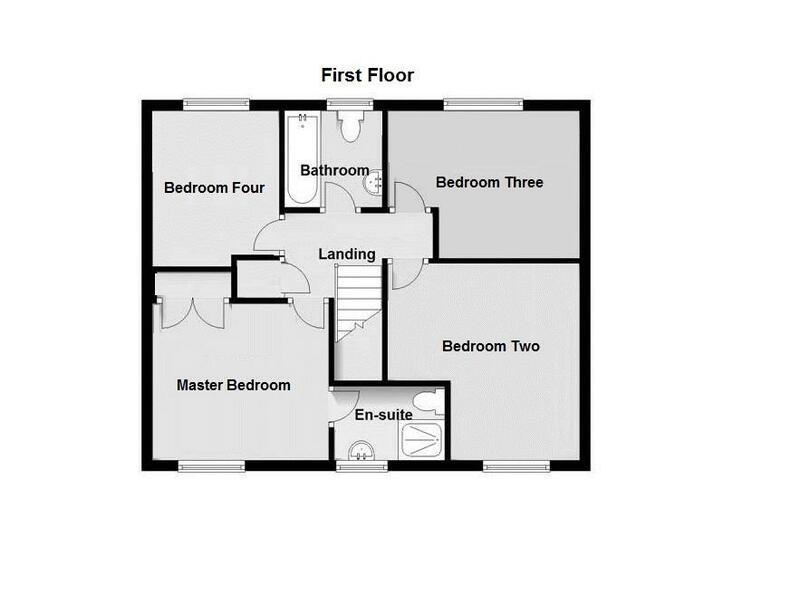 From the entrance hall, stairs rise to the first floor landing which offers separate access to all 4 bedrooms, the family bathroom, the airing cupboard, containing water cylinder and shelving and a hatch to the roof space. 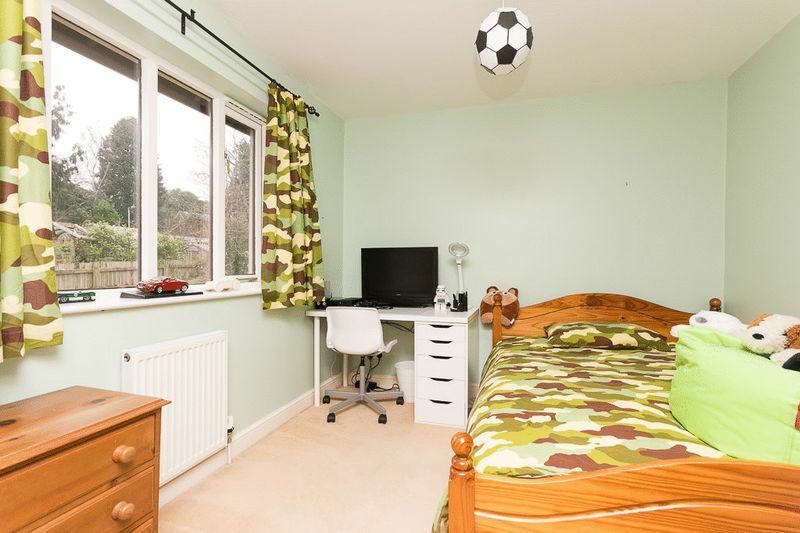 The master bedroom offers a built in double wardrobe, a window to front aspect with views of trees and the playing fields, and access to a recently refurbished en-suite shower room. Consisting of a WC, hand wash basin and shower cubicle with wall mounted shower. The walls are partly tiled and an obscure window allows for natural ventilation. 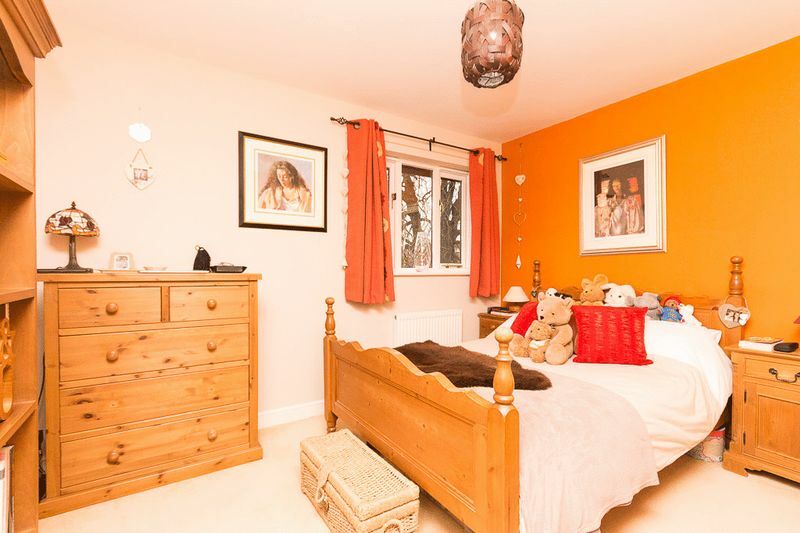 Bedroom 2 is an 'L' shaped room also to the front of the property and shares a similar outlook to the master bedroom. 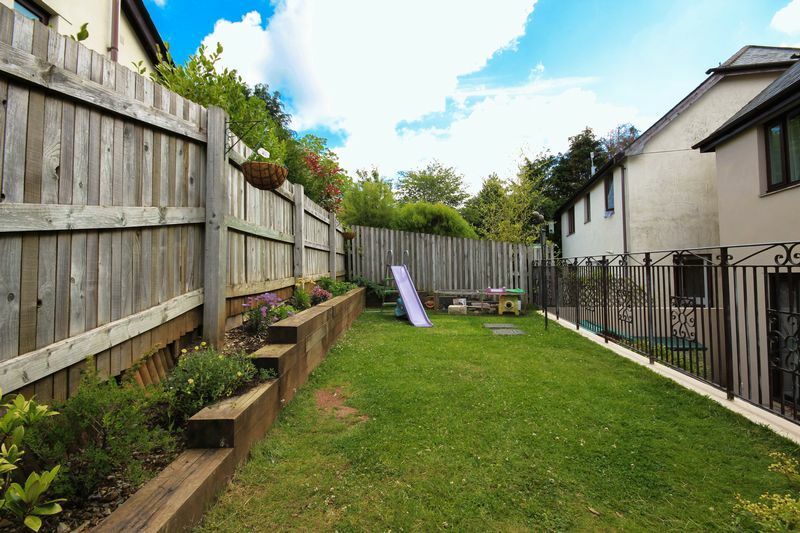 Bedrooms 3 and 4 are both located to the rear of the property and enjoy a pleasant outlook onto the rear garden. 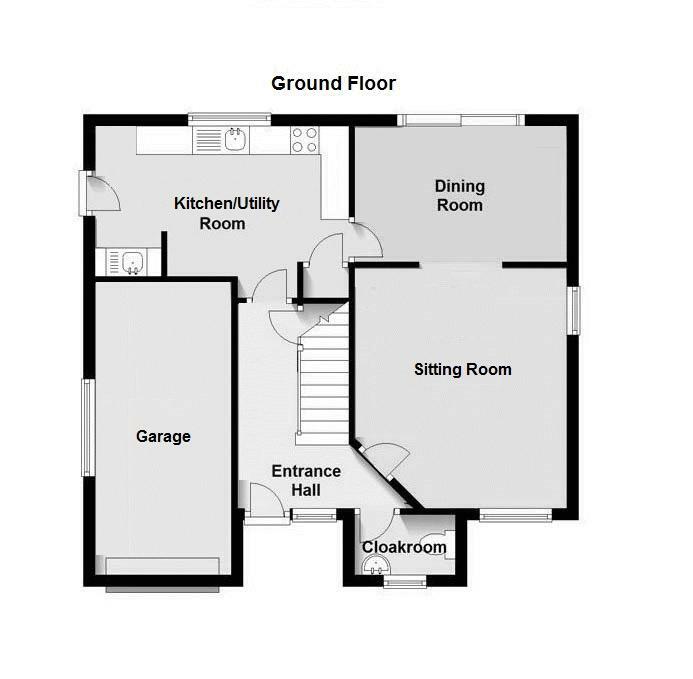 Completing the first floor is the family bathroom comprising a three piece white suite which includes a WC, bath with shower attachment over, wash hand basin and an extractor fan. There is also an obscure window. 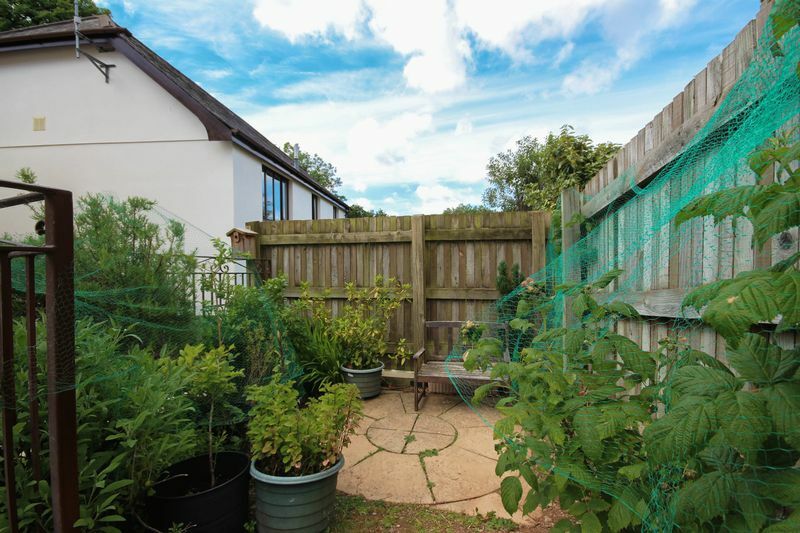 To the front of the property lies a welcoming front garden currently laid to lawn with access to the rear garden via the side gate. There is driveway parking for several vehicles, leading to the integral garage. 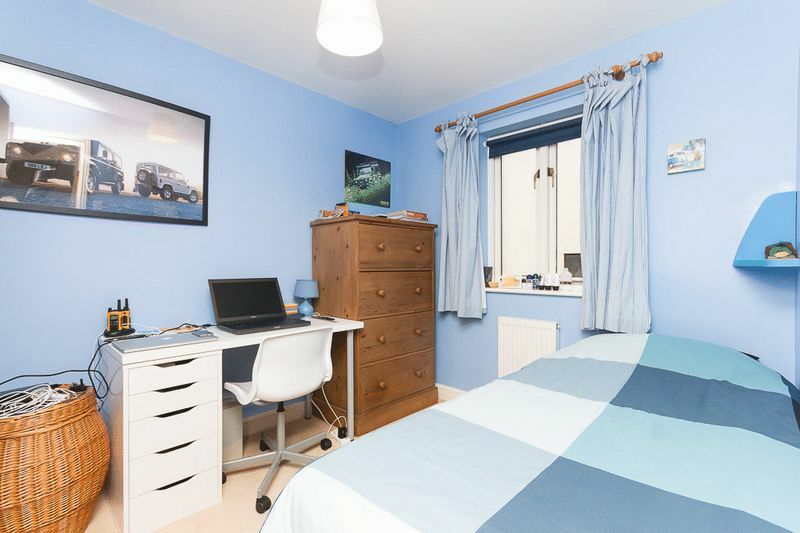 The garage itself offers parking for one car, a double glazed window to the side of the property and an up and over garage door. 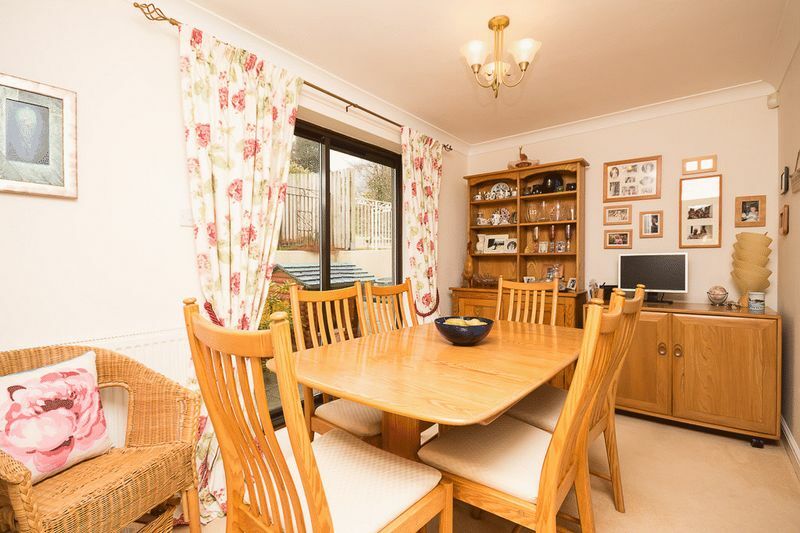 This property also enjoys a good size patio area to the rear, ideal for a BBQ, table and chairs. 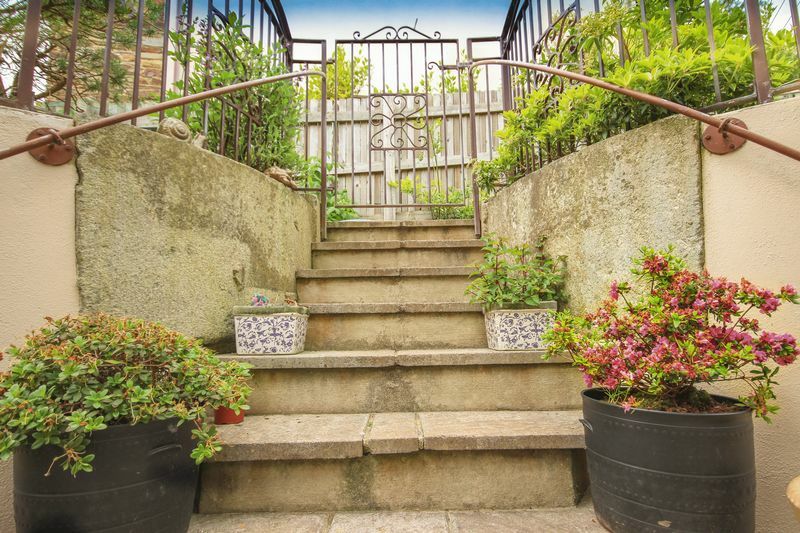 With steps leading to a metal swing gate with a flat laid to lawn garden. 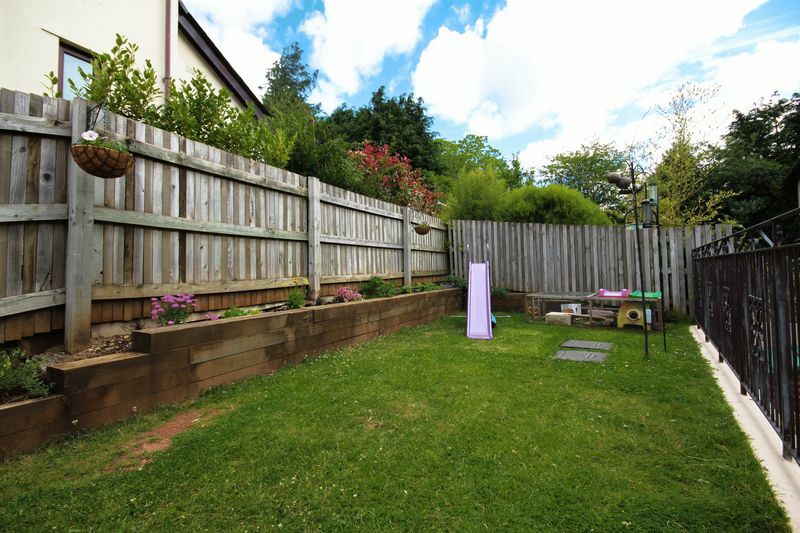 There are raised flower beds constructed with railway sleepers, a lovely decorative touch. 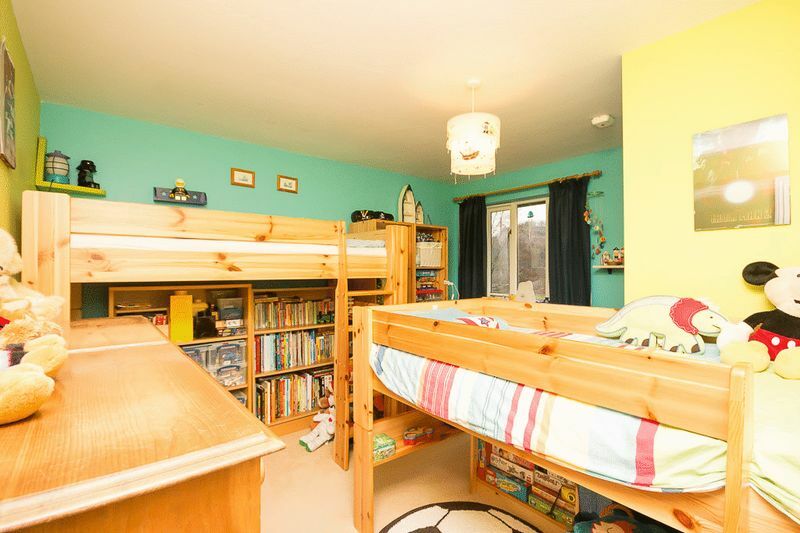 A well enclosed area, safe for both children and pets. There is also a paved area in the top garden, a lovely spot for further seating to escape and relax! From our office in Fore Street, Chudleigh, continue towards the A38 on the B3344 going past The Bishop Lacy on your right. Turn Left onto the A38 and follow to Buckfastleigh (about 11.9 miles) and take the exit towards Lower Dean from A38. Turn right towards Plymouth Road. Turn right onto Plymouth Road. Turn Left onto Timbers Road, continue straight onto Fairy Lane. Fairy lane then turns slightly right and becomes Duckspond Road. The property will be on the left.